New Delhi (PTI): The US government’s decision to declare Syed Salahuddin a global terrorist would help in choking his movements and financing, union Home Secretary Rajiv Mehrishi said today. 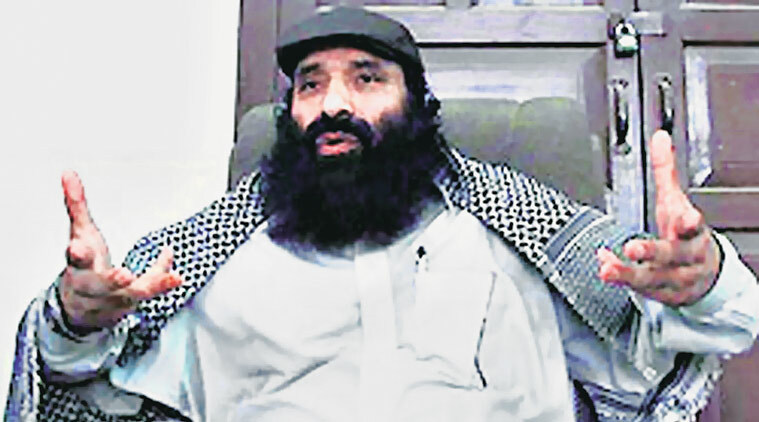 Salahuddin, head of the Kashmiri militant group Hizbul Mujahideen, was a “coward” who had “run away” to Pakistan, Mehrishi said. “He (Salahuddin) is a terrorist and he has now been declared so. This declaration by the US may help in impacting his movements and funding,” Mehrishi told reporters on the sidelines of an event of border guarding force ITBP. The US yesterday designated Salahuddin a specially designated global terrorist, a move welcomed by India which said it underlines quite strongly that both the countries face threat of terrorism. The move by the US State Department came just hours before the first meeting between Prime Minister Narendra Modi and President Donald Trump at the White House. As a consequence of this designation, US citizens are prohibited from engaging in transactions with Salahuddin and all of Salahuddin s property and interests in property subject to US jurisdiction are blocked.